This week 22nd to 26th June is BOOK WEEK. The whole school is focusing on a particular book they have chosen to enjoy for the week. Raymond McGrath is an award-winning animation director, animator, illustrator, designer and writer who has been working in children’s television and advertising for nearly twenty years. He has completely lost count of the number of books he has illustrated, television shows he has worked on and TV commercials he has made (because that requires maths and remembering and he isn’t so good at either). But he does remember that he loves gardening, photography, music and drawing, that he is the creator and director of the educational pre-school TV series Puzzle Inc, and that he has both written and illustrated five books to date. He also remembers that he lives in the country with his lovely wife, his beautiful daughter, two cats and a schnauzer whose legs are made out of springs! We will read the story, listen to the story on the CD that accompanies it, listen to and sing the songs on the CD. We will also dramatise the story, retell the story in our own words, draw our own ‘pet’ monsters! Here is a You Tube clip which has on it the song, ‘Read a Story’ with words and illustrations by Raymond McGrath. 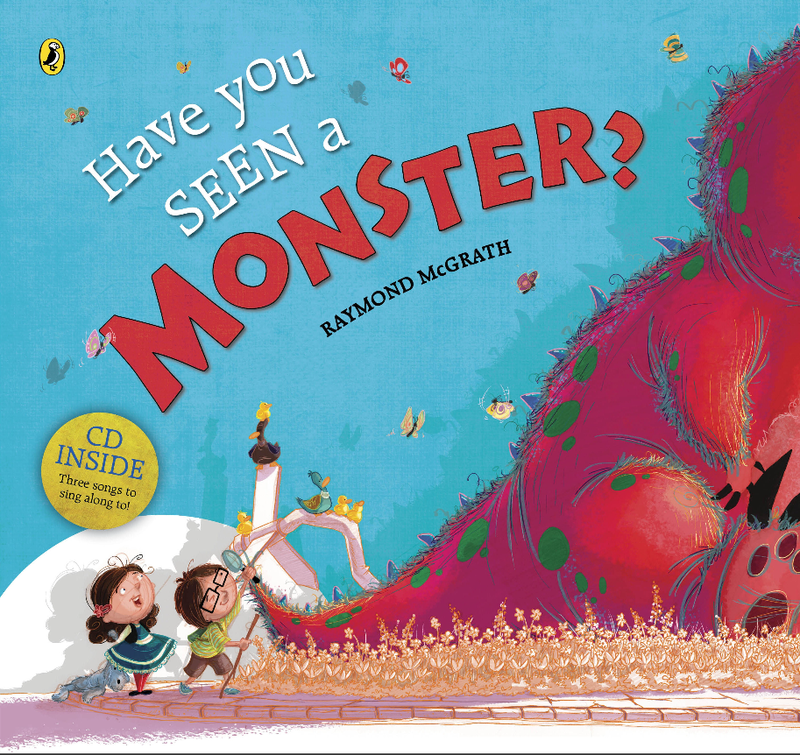 Also I have found another YouTube clip which goes with his book called – “It’s Not A Monster, It’s Me!” another song/story to make us smile.